Healthy skin is beautiful skin by Dr. Young of Bellevue’s Aesthetic Facial Plastic Surgery: As the body’s largest organ, the skin is the biggest sign of inner health. The same poor lifestyle choices we make on a daily basis can damage the strength and health of our skin. Smoking, consumption of too many carbonated or alcoholic beverages, sleep deprivation can decrease the amount of blood, oxygen and nutrients that your skin needs to stay beautiful. 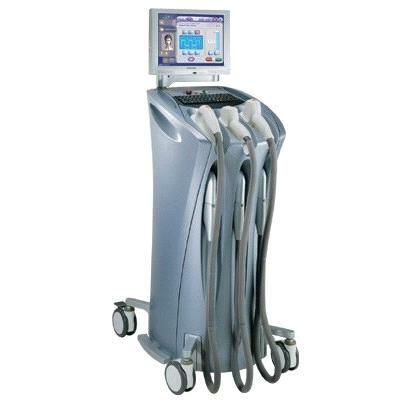 The result can be premature wrinkling, dull and unbalanced skin. And who wants that? Vitamins play a huge role in reversing that affect. Here are some basic Vitamins found in most products today. The amount will vary per product line and the higher concentrations will always be found in clinical-strength products sold at higher retailers or your physician’s office. Vitamin E works as an antioxidant and helps protect the lipids in the body, including cell membranes from oxidation. If you have questions regarding your current products, please feel free to call our office anytime. Happy New Year and hope you have a year of clean, balanced and beautiful skin! Dry skin got you down by Dr. Philip Young of Aesthetic Facial Plastic Surgery? Dry skin got you down by Dr. Philip Young of Aesthetic Facial Plastic Surgery? For many of my clients cold weather, turning on the heat in your car, office or home can really dry out the skin during the winter months. We all love rosy cheeks, but when it becomes red, cracked or inflamed it can become a real problem. There are many options to help relieve these symptoms without spending too much or taking up more of the precious minutes we have in the morning. Start basic; use a creamy cleanser rather than a foamy cleanser. You can also incorporate serums that contain extra hydrating ingredients like Hyaluronic Acid, Olive Leaf Extract, and Vitamin E without changing your daily moisturizers. The Pro-Heal Serum Advance from IsClinical is one of my new favorites. It contains Vitamin A, C, E and Olive leaf extract to help heal, supply antioxidant support and repair inflamed skin. Great for Rosacea, dry/dehydrated, acne, poor elasticity or thin skin. If you just need an extra boost to your moisturizer, the Hydrating Complex from Skin Medica is lighter, absorbs quicker and will enhance the benefits of your current moisturizer. And as always, apply SPF 20 or higher every day to help protect your skin from daily environmental stresses. If your skin is extremely flaky or dry, come in for a microdermabrasion to rejuvenate and revitalize your skin and get camera ready for the holidays! You can learn more about our scientific approach to skin care here. Posted in Diary of a Facial Plastic Surgery Aesthetician | Comments Off on Dry skin got you down by Dr. Philip Young of Aesthetic Facial Plastic Surgery?